Your students live in a digital world. The Chicago Tribune Media Group, now available in e-Newspaper! The convenience of the internet combined with the content of your favorite local news source! All the great components of the printed newspaper replicated on our eNewspaper website. Students Grades 6 – 11 can submit an essay or work of art. ►Discussion prompts & video archive. 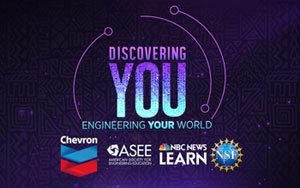 “Discovering You,” is an original video series celebrating the careers of engineers who are inspiring the next generation. The 20-part series, complete with tailored lesson plans, will roll out every Monday with 5 new videos over the next 4 weeks. 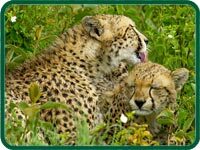 The National Wildlife Federation lesson plans are designed to introduce students to life science, ecology, wildlife biology, scientific identification and observation. All lesson plans are aligned to the National Science Education Standards and organized by grade level. ►Enhance vocabulary and written/verbal skills with over 2,500 pages of puzzles, themed features, word lists, SAT, ACT test prep and word games. How well do you keep up with the world around you? Take this week’s quiz to test your knowledge of recent national and world events. Answer FIVE Geography questions each week based on major news events. Daily Science Audio webcasts: An exclusive partnership with Pulse of the Planet, updated daily with two-minute sound portraits of Planet Earth. Tracking the rhythms of nature, culture and science worldwide, blending interviews with extraordinary natural sounds. Diversity, multiculturalism, worldwide events. You'll find plenty for classroom discussions in this listing of events. A security measure taken during an emergency to prevent people from leaving or entering a building. The lockdown alarm had sounded just before the end of the day and there had been no announcement that there would be a drill.